We are looked upon as one of the eminent Barbed Wire Mesh Manufacturers in India. 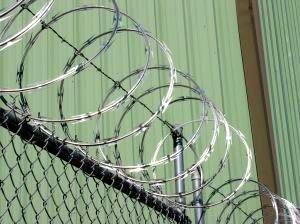 The Galvanized Barbed Wire offered by us is manufactured using premium quality materials that make it ideal to be used in areas where security is required. Moreover, the company has acquired distinguished position amidst the Razor Barbed Wire Mesh by meeting the exact requirements of the clients.